January | 2011 | Ipoh Mali Talak Sombong! I would like to wish all readers/floggers a Happy Chinese Rabbit Year. Gong Xi Fatt Chai! Okay, back to business. This is a long overdue post and also my last post for the week. 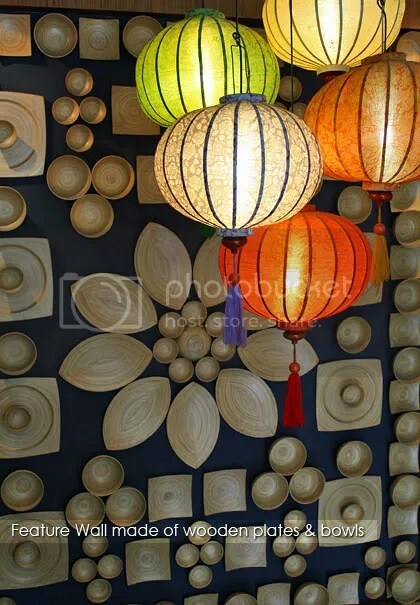 We were wandering around Jungceylon, Patong Beach’s largest shopping mall the whole day, trying to seek shelter from the scorching hot weather outside. 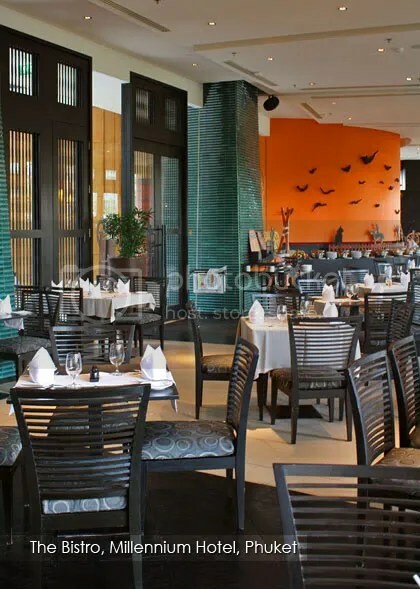 It was almost dinner time when we passed by the connecting passage that connects Jungceylon with Millennium Resort Patong, (which is located just next to the mall) and saw a big notice board promoting their food and beverages at 50% discount! Hotel food at half price discount, wheee!!! 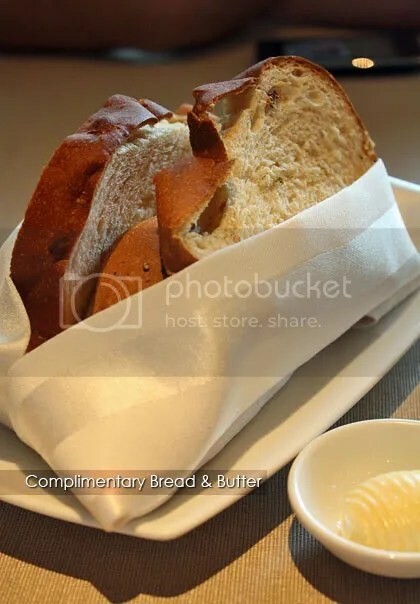 Complimentary bread with butter. It was rather strange though to serve bread as starter since we ordered only Thai dishes that evening, but the bread were good, no complaints here. We decided to go fiery hot that evening, hence we ordered all spicy dishes such as the Red Curry with Pork (usual price 250 Baht). You can choose the type of curry (red or green) and ingredients (pork, chicken, beef or prawns) and it will be the same price. 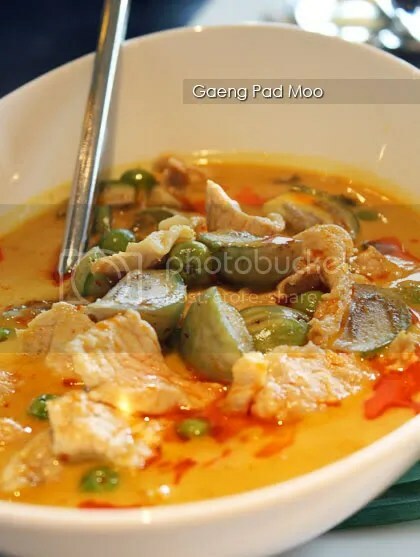 Although spiciness level was indicated as 2, we found it rather mild (as you can see the colour is not very red here due to higher content of coconut milk) and the sliced pork were really, really tender! I learnt a new Thai word here too; apparently “Moo” refers to pork and not beef. Beef is called “Nuea”. It would be much easier if “moo” is beef, doesn’t it? 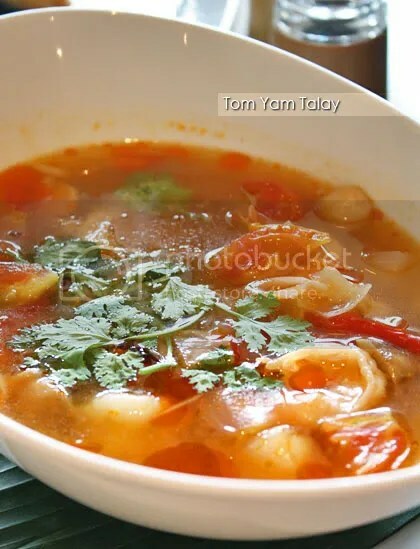 Tom Yam Talay (seafood, usual price 210 Baht) came in its full glory; abundance of squid, fish fillet, prawns, onions, tomatoes, button mushrooms etc all swimming in a tangy tom yam soup. It has the right amount of kick in every sip, sending us into “sweat mode” directly. But luckily for us, the Vegetarian Massaman (original price 170 Baht) was mildy spicy, similar to the pork curry. 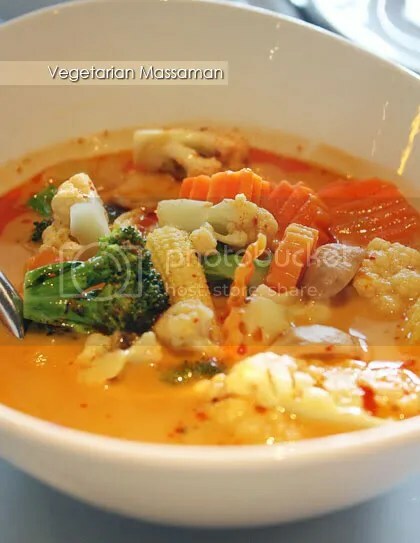 Plenty of vegetables were chucked into this delicious curry dish, including carrot, broccoli, cauliflower, button mushroom, baby corn and oyster mushroom. 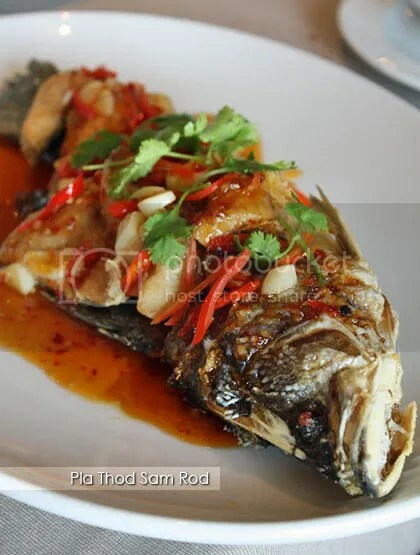 And lastly, the deep fried seabass with three flavours of chilli sauces (original price 300 Baht) wowed us with its succulent, firm and fresh meat. Did ala sweet and sour style, the sauce lend a touch of Thai to the overall dish. 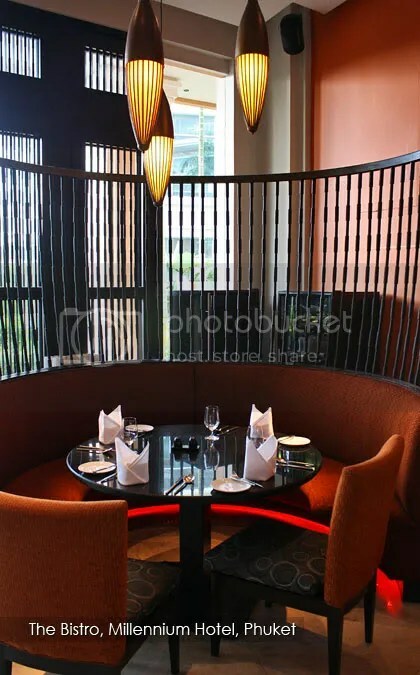 It’s been a while since my last DU Project’s post and my, many new eateries have been popping out all around Damansara Uptown, especially the corner near to OCBC Bank! We noticed that Tang Shifu, Bone and Pot, Jojo Pan Mee, a nasi padang shop and Japanese fast food concept shop (couldn’t recall the names for both) are the latest addition to this bustling commercial square. Perhaps I set my expectations too high, as I was a little bit taken aback with the serving size. Although looked very healthy, the portion of the grilled meat on skewers were definitely not enough for the boys. 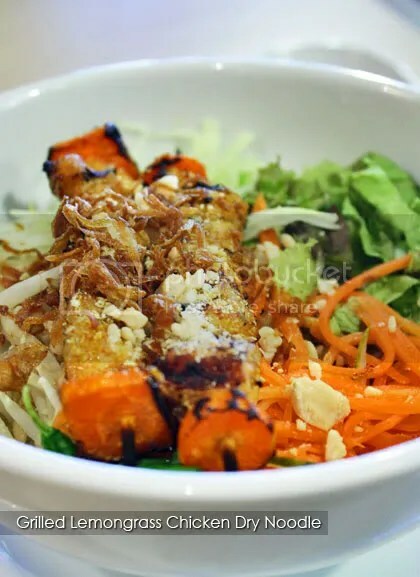 And it would be good too if they have a all-in-one combo for the noodles (grilled meat and spring rolls). The Pho Bo Dac Biet (Special Mixed Beef Noodle) was okay, the broth was beefy yet light. Their desserts on the other had, were rather good. 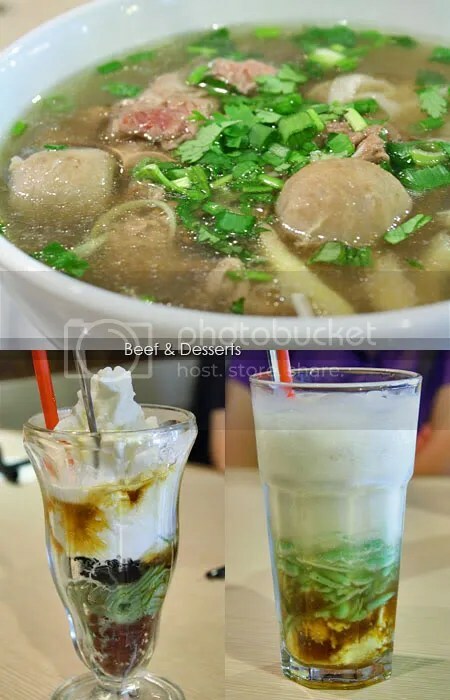 Three Colours Delite (bottom left), a combination of grass jelly, cendol, red bean, some coconut milk and low-fat cream topping was refreshing without being overly sweet or heavy to the palate. The Vietnamese Cendol was quite normal, with a great resemblance to our local cendol, except for the red bean substitutes with mung bean. More reads from Precious Pea and Food Street (by Eat First Think Later). Chinese New Year is just a bout two weeks away! Radio stations and shopping malls have been blasting Chinese New Year songs throughout the month of January, signalling the Year of the Rabbit is approaching fast. Most Chinese will be busy preparing for the festive season, especially the important reunion dinner. If you’re a Standard Chartered credit card holder, here’s a good news for you. 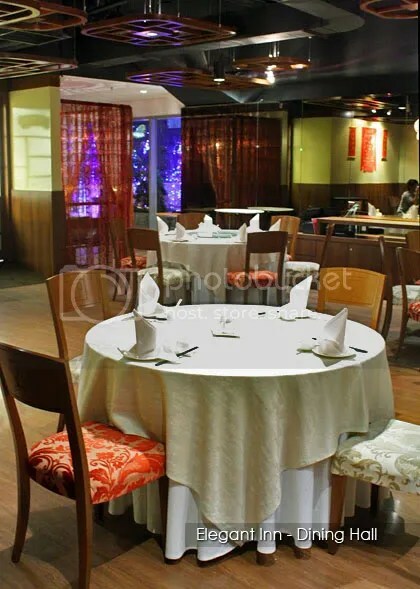 Standard Chartered Bank will be hosting the Extravagant 8 event in association with 8 of the best Chinese restaurants in Klang Valley from 20th January 2011 onwards till 17th February 2011. 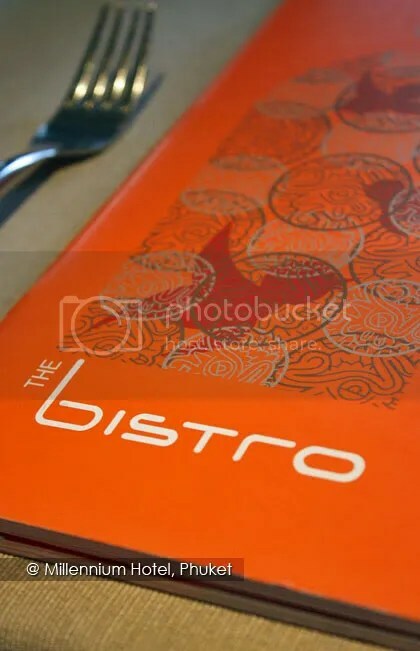 Chefs from all 8 participating restaurants will prepare a special customised menu for the fiesta. 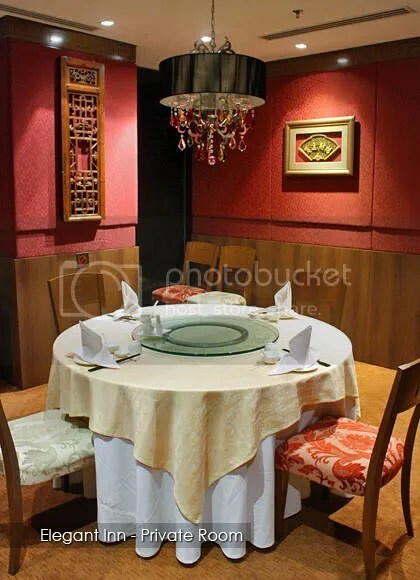 Much rave reviews on their fine Hong Kong cuisine have been heard about Elegant Inn since their second outlet debut back in 2008 and I was lucky enough to be invited over to sample their Extravagant 8 menu, specially prepared by their executive chef Wesley Ng. As a normal practise, yee sang is a must-have for all Chinese New Year meal, hence we kicked off our meal with the Bountiful Harvest Salmon Lo-sang. Freshly shredded carrot, cucumber, radish, ginger, snow pear and pomelo sacs are tossed together with fresh sliced salmon, jelly fish, pearl clam, crispy crackers, sesame seeds and specially home-made dressing. The colour of the vegetarian ingredients were kind of pale especially the shredded cucumber, but hey, Elegant Inn emphasizes on natural ingredients and healthy-eating, hence no extra colouring or dye are used in their ingredients. Every mouthful was a refreshing experience as you can really taste the freshness of the ingredients. 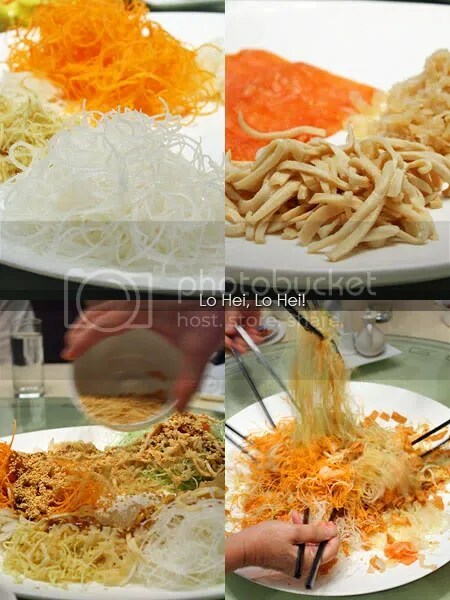 And don’t forget those Chinese phrases or wishes, while tossing the yee sang as high as you can! It was a relieve to know that no shark’s fin will be served in all the participating restaurants. 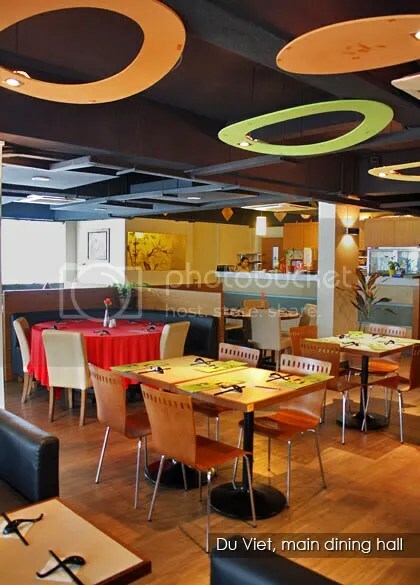 Elegant Inn double-boiled most of their soups for 4 – 6 hours with no extra flavouring enhancer to brings out the best natural flavour from the ingredients. Our Double-Boiled Village Chicken Soup with Cordyceps Flowers and US Top Shell was perfectly cooked with a distinctive sweet taste. Every drop of the soup were infused with the goodness of two village (free-range) chickens (yes, two! ), pork ribs, Chinese ham, dried scallops, US top shell and cordyceps flowers, which is beneficial to the lungs and liver. The next dish was Golden Fried Estuary Grouper with Chinese Leeks Fish is another must-have on the dining table during Chinese New Year, as fish (“yu” in Mandarin) signifies “nian nian you yu” (Abundance all year long). 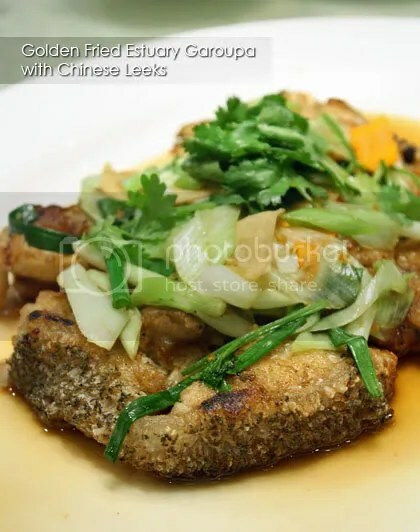 One thick slab of giant estuary grouper (long dan) was lightly fried to golden crispiness, topped with stir-fried leeks and “har kon” (dried prawn meat sourced from HK) and drizzled with superior soy sauce. The fish was beautifully done; moist and succulent, while the thick skin was a little bit gelatinuous but crispy. While most restaurants would dunk their prawns or crabs into the salted egg yolk mixture, which resulted a thick coating of the mixture on the crustacean, Elegant Inn believes that will overpower the taste of the prawns. 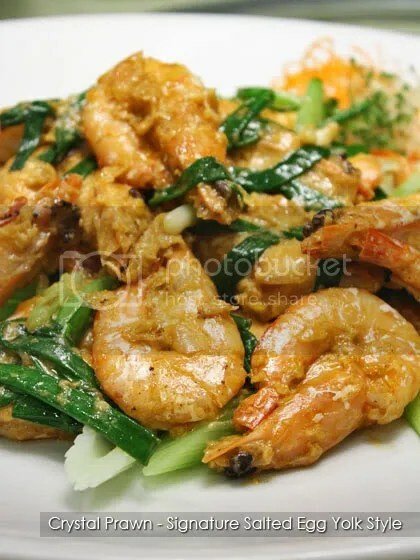 Hence, their Crystal Prawn done in Signature Salted Egg Yolk Style was prepared in the way that the egg yolk mixture was just enough to lend a subtle salted egg flavour without overpowering the taste of the prawns. 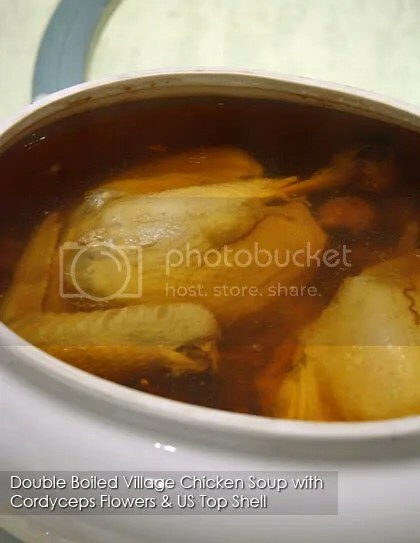 A labour-intensive style of cooking a chicken, this dish requires the work of stripping all the meat and bones from the whole chicken while retain the skin. 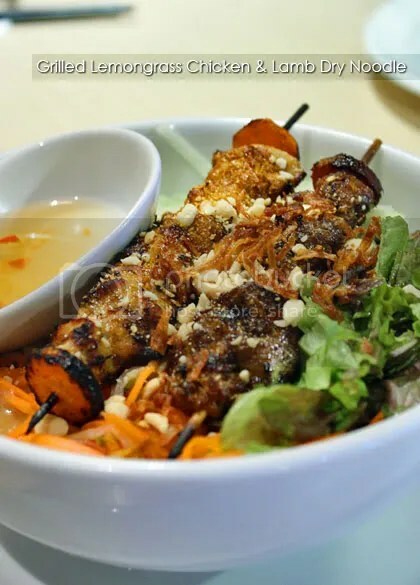 It is then replaced with minced prawn paste (instead of fish paste as most restaurants did) and deep fried till the skin is crackling crispy, akin to roast pork skin. The chicken meat is then shredded to make the side salad with tomatoes and orange balsamic dressing. 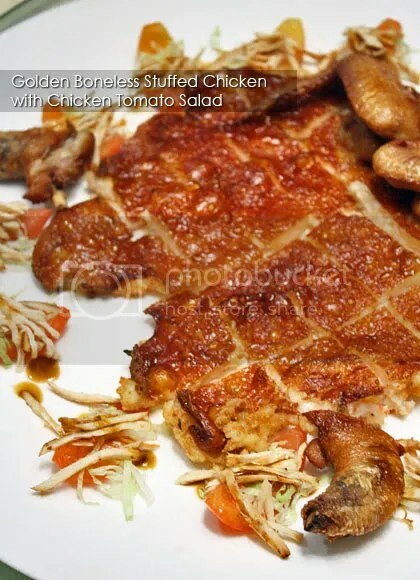 We love this Golden Boneless Stuffed Chicken with Chicken Tomato Salad lots! 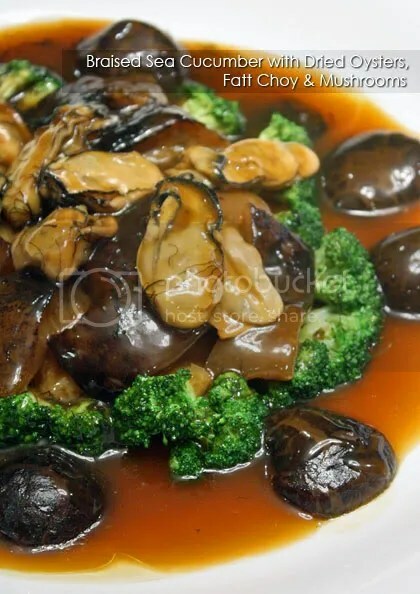 Braised Sea Cucumber with Dried Oyster, Fatt Choy and Mushroom is another dish synonym with Chinese New Year, as “fatt choy” is always related to abundance of prosperity. High quality thick cut of sea cucumber and big, plump Japanese oysters are used in this dish. 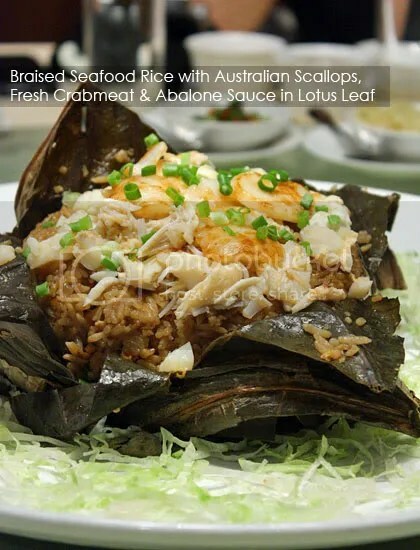 We were almost stuffed to the brim when we were presented with Braised Seafood Rice with Australian Scallops, Fresh Crabmeat and Abalone Sauce in Lotus Leaf. Looking at the amount of scallops and crabmeat on the rice, we just couldn’t stop ourselves from digging into this luscious rice dish despite our stomachs’ protest! Last but not least, desserts! 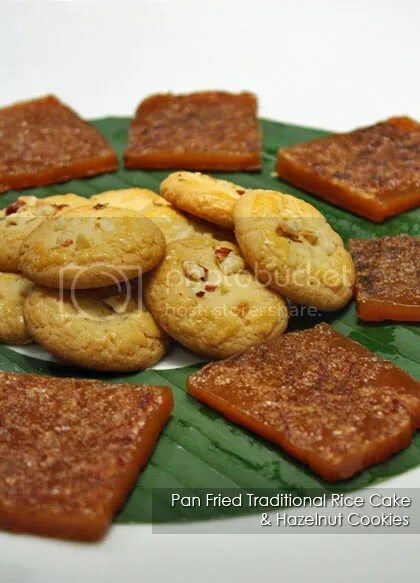 A symbol for “higher/better year”, nian gao or nin kou in Cantonese (sweet glutinuous rice cake) from Elegant Inn were just simply pan-fried lightly without any condiment and served with hazelnut cookies. The rice cakes were amazingly soft without overly sweet. 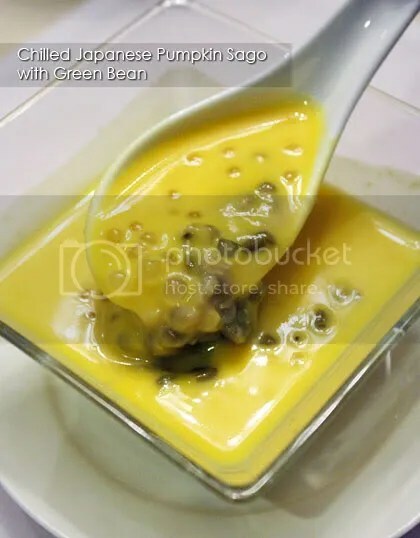 The accompanying Chilled Japanese Pumpkin Sago with Green Bean made a good ending to the lavish meal. I couldn’t remember how long it was since I had such a great meal prepared with good quality ingredients, paired with the great skill of the chef but Elegant Inn truly did a great job with their Extravagant 8 menu here. Kindly don’t just take my words for it. Come and experience it yourself. So, if you are a Standard Chartered credit card holder, grab this opportunity to feast on the limited time menu available, while ushering into the Year of Rabbit. Jalan P. Ramlee, 50250 KL. Read about PureGlutton’s experience HERE.